3 bhk curved roof mix 1490 Square feet (257 square meter) (166 square yards). 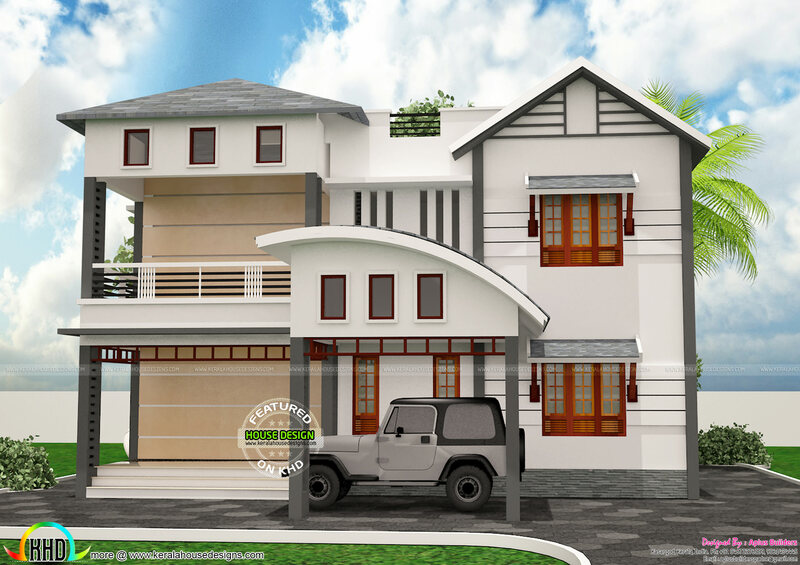 Design provided by Aplus Builders from Kasaragod, Kerala. 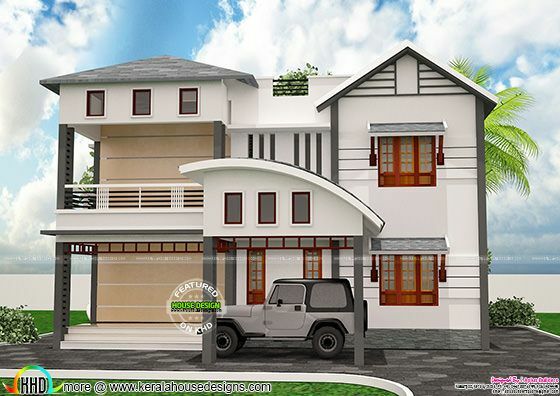 0 comments on "1490 sq-ft 3 bedroom curved roof mix home"